At last! 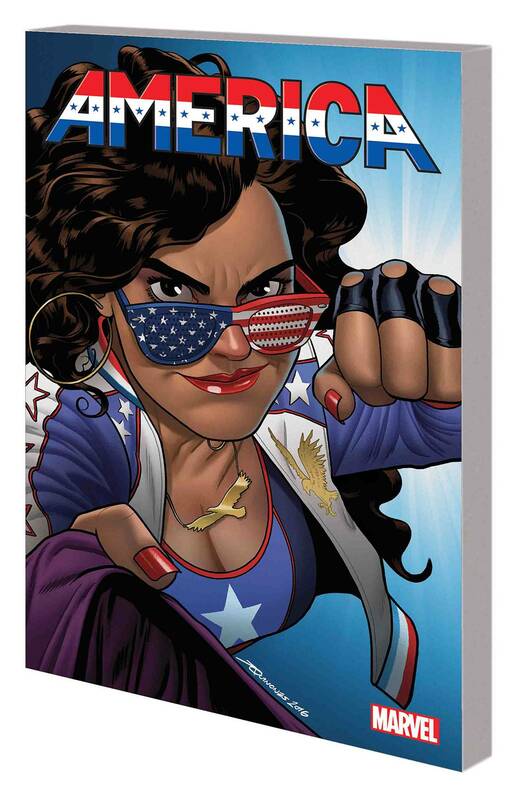 Everyone's favorite no-nonsense powerhouse, America Chavez, gets her own series! Critically acclaimed young-adult novelist Gabby Rivera shines a solo spotlight on America's high-octane and hard-hitting adventures! She was a Young Avenger. She leads the Ultimates. And now she's going to college! Her first assignment: a field trip to the front lines of World War II - with Captain America as her wingman! 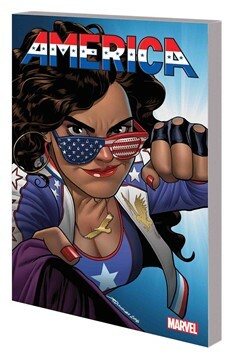 But when another jump goes wrong, America Chavez ends up stuck in the past! Can that era's Storm and the X-Men help her find her way home, or are they too busy protecting a world that hates and fears them? And who is the mysterious figure behind these time-travel mishaps? Plus: America and her Young Avengers gal pal Hawkeye are reunited at last, as they team up to take on a new threat! Collecting AMERICA #1-6 Rated T+.